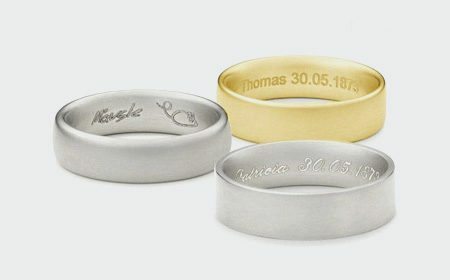 What Are Some Wedding Ring Engraving Ideas? 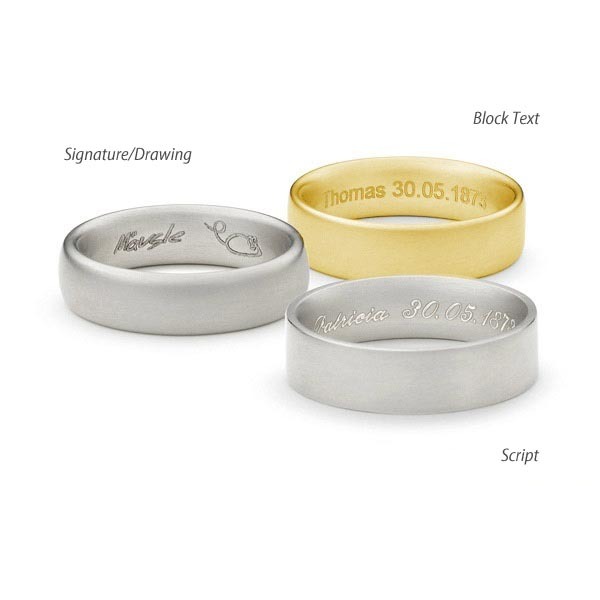 Customers rarely will have considered if they would like an engraving in their wedding ring before they order and if they do know that they want to engrave, more often than not they aren’t sure what they would like. There are different types of engraving – machine engraving, laser engraving and traditional hand engraving. Each has its place and is used for different styles of an inscription. With the introduction of laser engraving, anything is possible – a signature, a drawing, even a fingerprint! Below are some different engraving styles & ideas of what is possible. The simplest & traditional choice is the date of your wedding alongside your names or initials. 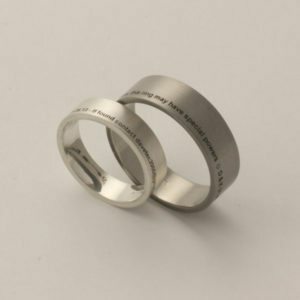 This simple inscription will personalise your wedding ring and can also act as a reminder for future wedding anniversaries! Various fonts and formats are possible. For something a little more unique we offer a fingerprint engraving service. We simply take your partner’s fingerprint using ink & paper, scan it to our computer and then it is laser engraved on the ring. 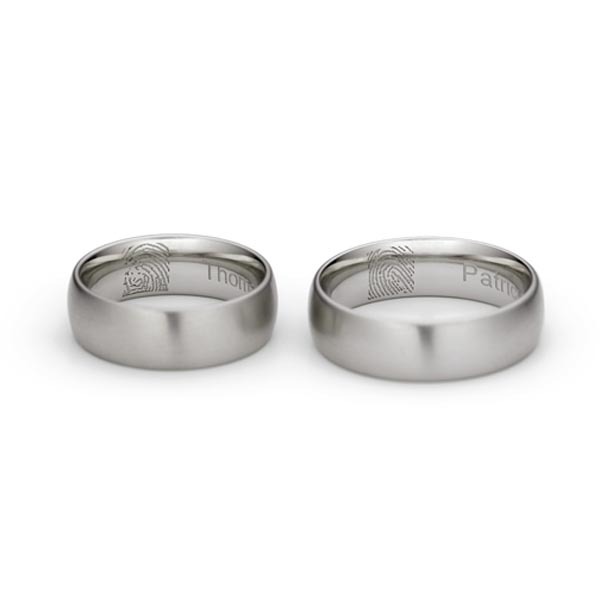 Fingerprints can be engraved on either the inside or the outside of your wedding band. We have had some unusual requests for engravings since we opened but none as funny as the two rings below! If found please return to… was engraved on the outside of this lovely couples’ wedding rings. They’re hoping email addresses don’t become obsolete in their lifetime!! We had a recent commission for an engagement and wedding ring with decorative engraving on the sides of the ring – the result was stunning. These rings were hand engraved by Michael O’Dwyer and gave such a delicate and pretty overall look. Engraving can also be used as symbolism. 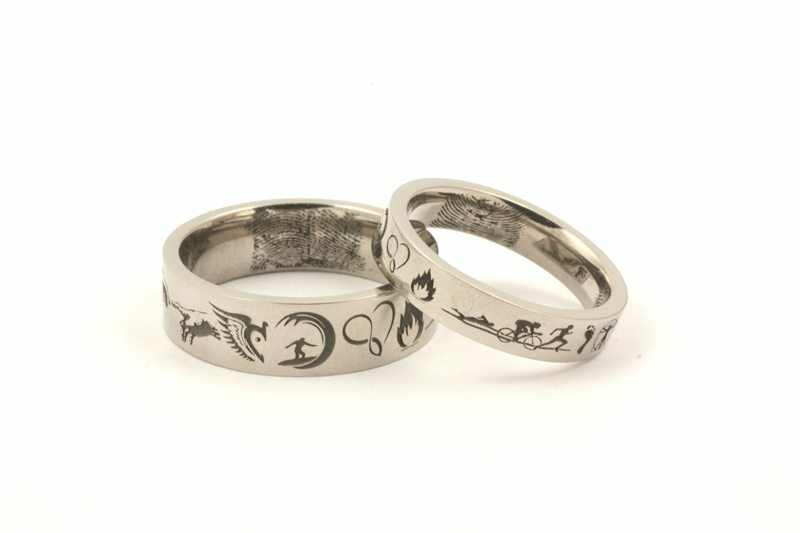 We recently made these rings that were engraved the whole way around with different pictures symbolising the important things in this couples’ lives. They spent a long time choosing the images that would best portray their lives and then we formatted them so that they were suitable for laser engraving. The whole process took a lot of time but they were delighted with the end result! These are just a few ideas to illustrate the huge choice when it comes to engraving your wedding rings – anything is possible really. The most important thing is that there are no rules – choose something that is special for you, you’ll be wearing it for a long time after all! 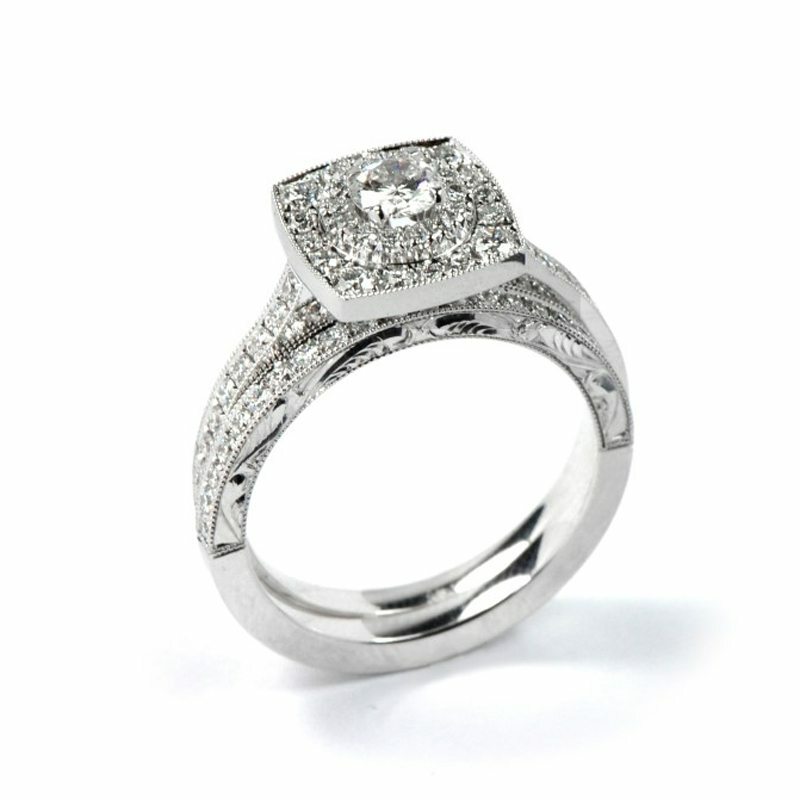 For more see our page on jewellery engraving options and browse our wedding rings selection on our online store.